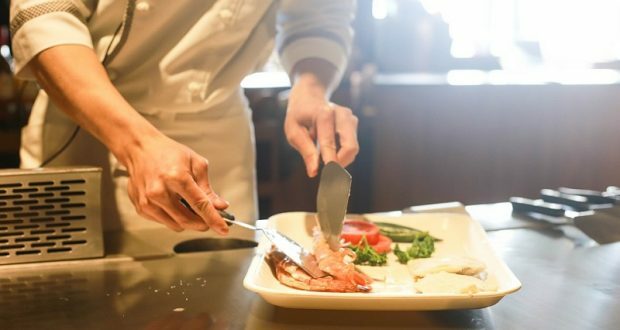 The Oakhurst Elks Lodge #2724 is inviting local guest chefs to showcase some of their most popular dishes. 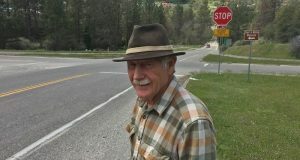 Charles Rust aka Woody, formerly of Woody’s New Orleans West in Oakhurst, is soon opening Woody’s Indoor Outdoor Grub in Mariposa with his daughter. 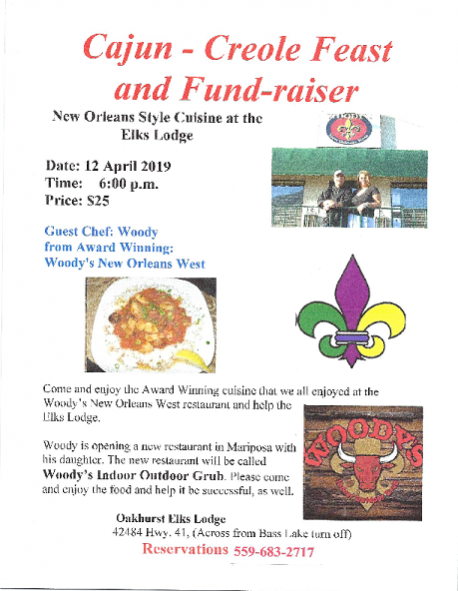 Woody will be the first chef to prepare dinner in what is hoped to become a monthly tradition of local chefs preparing some signature dishes, promoting their local restaurants while also helping to support our non-profit Elks Lodge 2724. 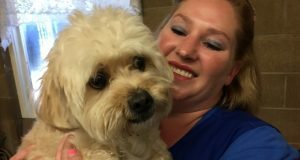 The cost is $25 for the Cajun-Creole Feast and Fundraiser.